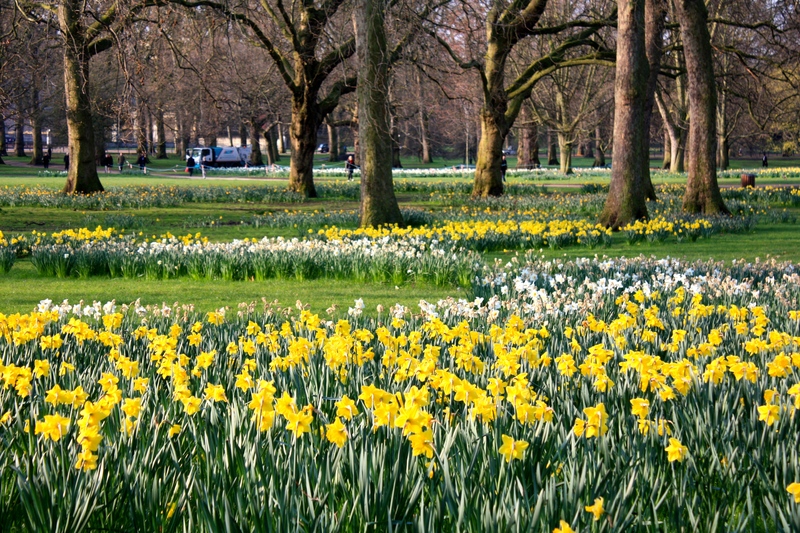 At this time of year London’s Royal Parks are carpeted with vast swathes of daffodils. If the weather is fine I leave the tube one stop early and walk through Green Park, past Buckingham Palace to work in Victoria. 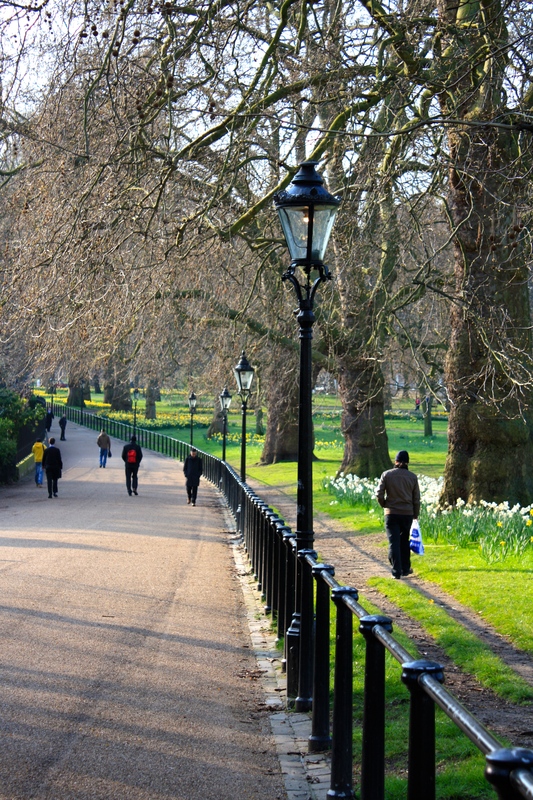 The park’s daffodils create serpentine rivers of gold, primrose and white between the naked plane trees. I like to imagine Her Majesty sitting in bed with a lightly boiled egg, hot buttered soldiers and a cup of tea, gazing out of her bedroom window at her subjects, busying themselves like ants below. I am sure she does nothing of the sort, but it pleases me to think she’s enjoying the colourful scene. 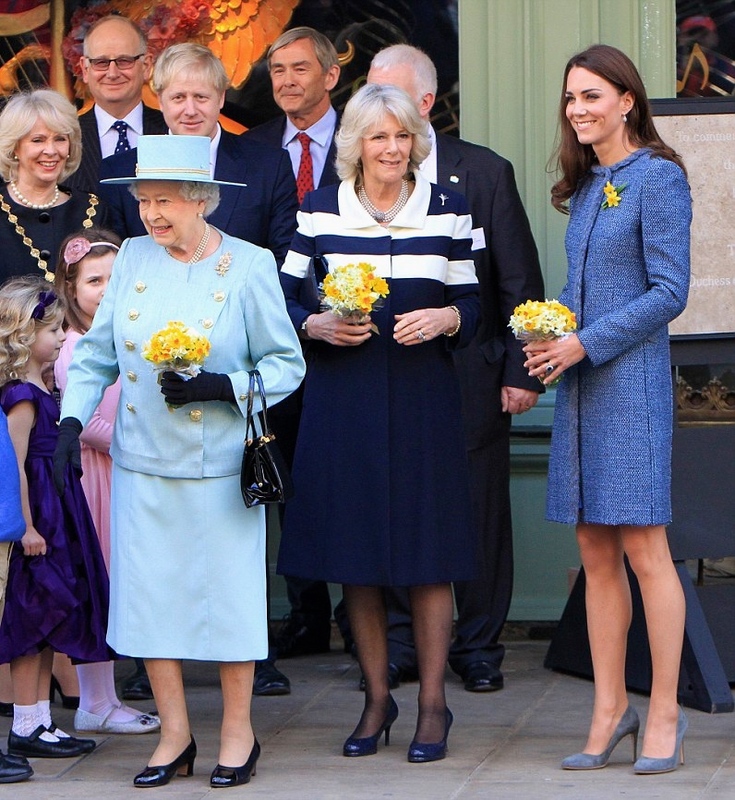 Royalty have a great fondness for daffodils, particularly the Prince of Wales. Last week His Royal Highness asked the new leaseholder of an historic quarry on his Duchy of Cornwall land to pay one daffodil each year as rent. The 999-year lease on the site in Tintagel, Cornwall, cost its new owner £81,000, despite having no commercial potential. In a wry twist on the nominal ‘peppercorn’ rent, The Prince of Wales decided to accept just a single daffodil, the national flower of Wales, as payment. A longer tradition was established thirty years ago when The Queen began sending daffodils from her Sandringham estate to patients and staff at hospitals across London – a typically charming gesture from a monarch who frequently receives posies and bouquets of narcissi from well-wishers. Here she is, outside Fortum and Mason in 2012, with The Duchess of Cornwall and The Duchess of Cambridge, giving the flowers her royal seal of approval. Let’s hope that there is still a smattering of daffodils in bloom on April 21st when she celebrates her 89th birthday. If this cool weather continues we can be sure of it! This is my most favourite memory of flowers in London….. The mall in Spring. EXQUISITE !!!!!! Thx TFG these pics have made my day.